When you arrive at South Hills Physical Medicine, Lisa will take you back to the therapy area to assist you with therapies such as ultrasound or muscle stimulation. Lisa also assists the doctors by helping patients correctly perform their exercises and stretches as needed. Lisa enjoys spending time with her grown sons and husband. She loves baking and cooking in her kitchen. Living in Whitehall, she’s enjoying time as a new grandmother and looks forward to future trips to parks around Pittsburgh. 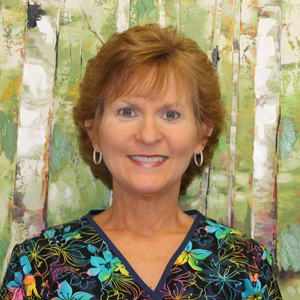 A caring medical assistant/chiropractic assistant, Lisa looks forward to working with you! Give our office a call today.